Airport Services Centre, Level 3, T1 International Terminal. Sydney Airport is pleased to launch AIRDAT, a web-based system that provides airports and their stakeholders with an intuitive and user-friendly solution for managing their vehicle and driver permits, test bookings and training requirements all in one location. 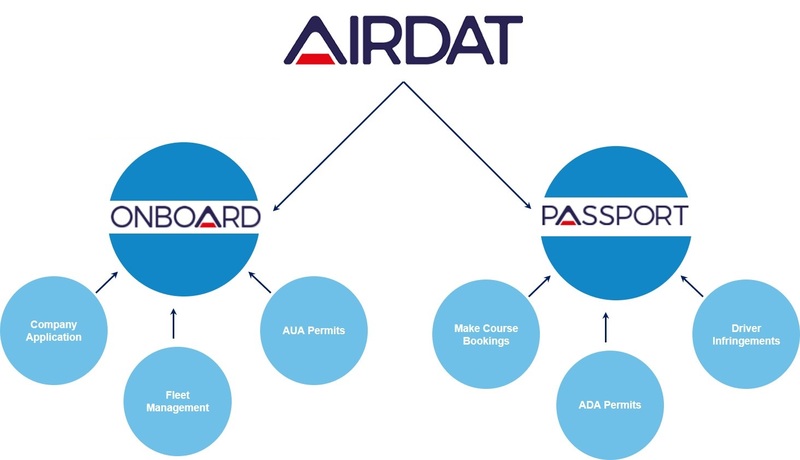 AIRDAT Passport – For driver permitting, training and infringements. AIRDAT Onboard – For vehicle permitting and Airside Operations Licence (AOL) Applications. For bookings please login via AIRDAT Passport here. Click here to download a copy of the ADA Assessment pre-requisites and workflow. Click here to download a step-by-step guide on using AIRDAT Passport, including logging in for the first time and making assessment bookings. All drivers are required to sit the mandatory eLearning Airside Driver Awareness course and achieve a minimum pass rate of 80%, before being able to book in for a theory or practical assessment. Download AIRDAT Passport FAQs for drivers here. Click here to download a step by step guide for company administrators for using AIRDAT Passport, including logging in for the first time, making or changing a booking as well as reviewing your company dashboard and profile. Download AIRDAT Passport FAQs for company admins here. All companies are required to complete an Airside Operations Licence (AOL) Application before they can start applying for AUA permits. As part of this application, all companies will need to provide an overview of their services, supporting documentation that demonstrates a genuine business need to operate airside (i.e. proof of engagement) and a copy of Certificate of Currency Insurance. All vehicles and equipment requiring access airside must have a valid AUA permit, affixed to the vehicle and easily visible. To apply for AUAs you must first complete the Airside Operations Licence Application. The Airside Vehicle Control Handbook (AVCH) includes legislative requirements, authority to use airside, authority to drive airside, rules for driving airside, the points system, approved training officers and radio procedures at Sydney Airport. The airside driving pocketbook is a quick reference guide that explains the main rules which apply to all drivers operating airside. This should be read in conjunction with the airside vehicle control handbook. The airside drivers log sheet is for drivers to record their hours driving airside. Sydney Airport has designated limited bays at Terminal 1 to facilitate Between Wingtip Staging (BWS). Operating procedures should be read in conjunction with the Sydney Airport Airside Vehicle Control Handbook (AVCH) and Airside Driving Pocketbook. Sydney Airport has installed Runway Stop Bars at all Runway Hold Points as an added protection measure to minimise the risk of runway incursions. Runway Stop Bars apply to any aircraft or vehicle intending to enter the runway strip. Aircraft right of way: this video provides guidance on the requirements of airside drivers to give way to aircraft at all times. Circle of safety: this video provides you with information on industry recommended practice for approaching an aircraft during servicing. Apron markings: this video provides you with an overview of the purpose of key apron markings. Aircraft servicing: this video provides you with an overview of the key operating requirements and hazards associated with ground handling, refuelling and catering/cleaning operations when servicing the aircraft on bay. Manoeuvring Area Markings, Lights and Signs: this video provides you with an overview of the markings, lights and signs on the Manoeuvring Area and the associated operating requirements. Tower Light Signals: this video provides an overview of the tower light signals used in the event of a radio communications failure.